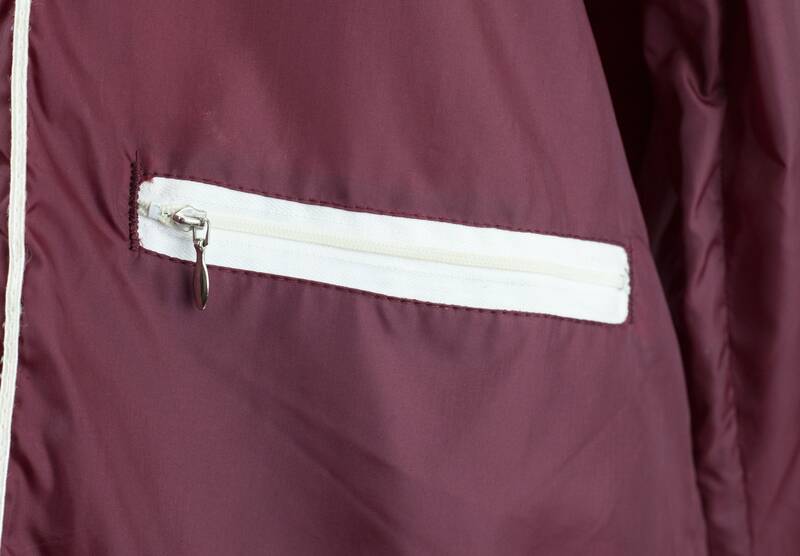 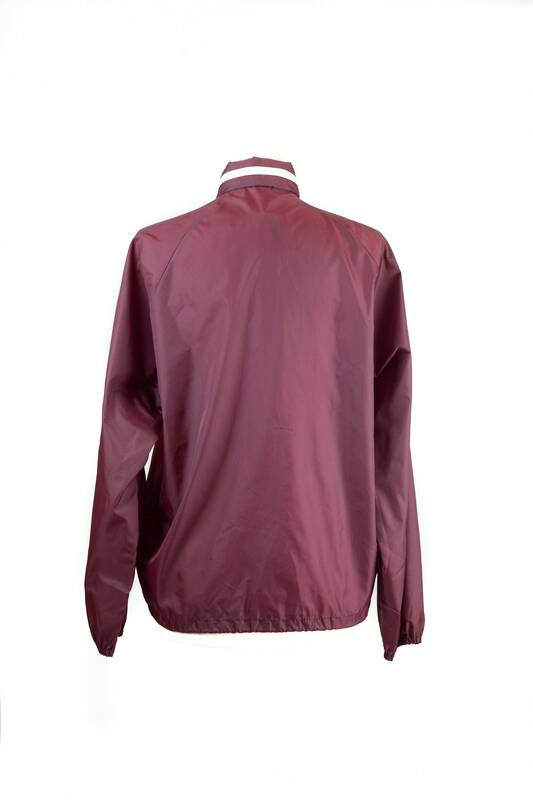 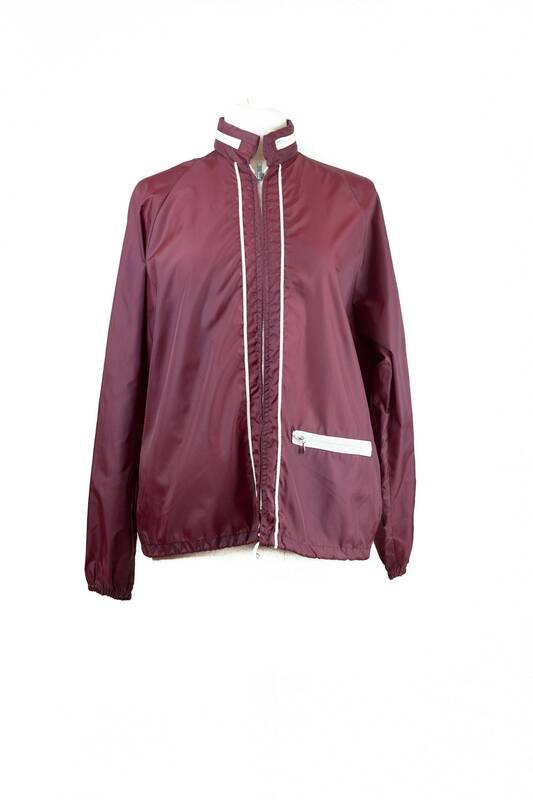 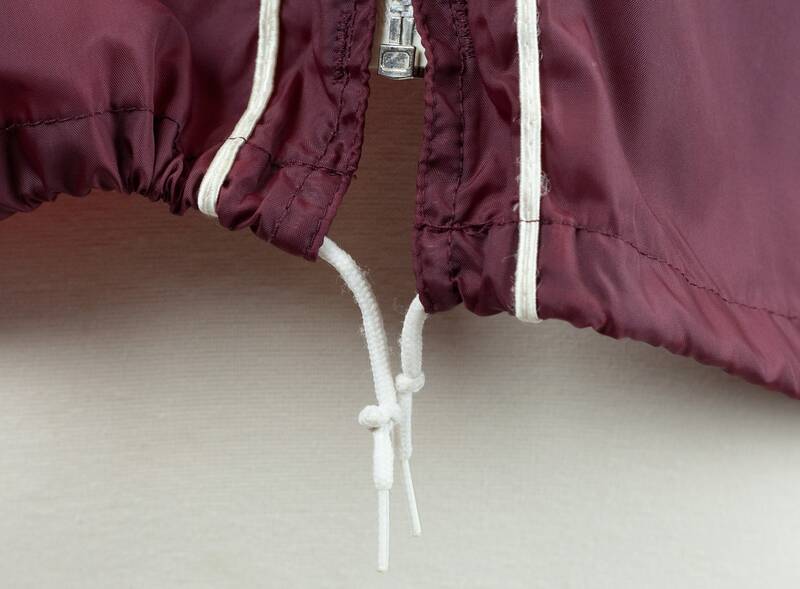 60s thin maroon and white windbreaker jacket with zip closure pockets, hidden hood in the collar, and drawstring. 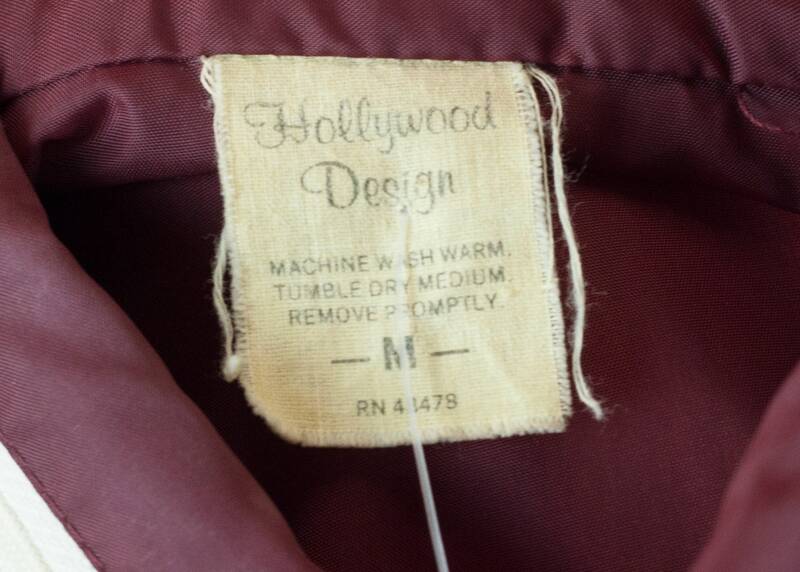 Item is in good vintage condition. 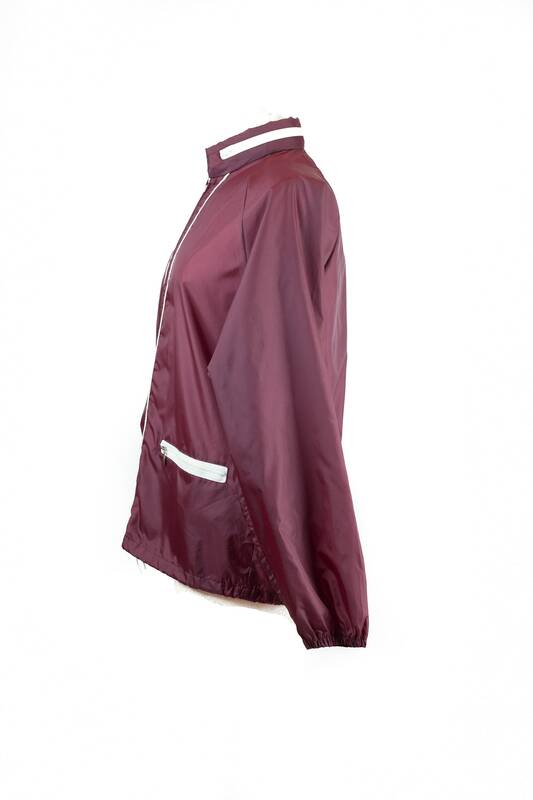 Style casually for a windy day, and if rain comes while you're out, you have a built-in hood you can easily pull out for cover.